When starting a catering business it may pay to specialise. If you have a particular cooking skill or indeed a favourite catering past time perhaps this is what you should specialise in when starting your business. Cake making and baking skills are always in demand and you could, if you are proficient enough make a very good living from this skill. It could be said that you will never be poor if you can bake bread however, you must be practical about setting up a bread baking business. You will be competing with the big boys who fill our supermarkets with bread every day of the year. 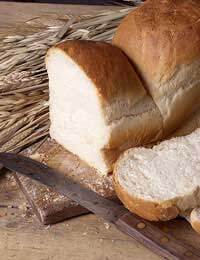 It is commercialised so perhaps your specialism in certain types of bread could be attractive but can you bake enough to make a profit and would you have the time, staff and premised to make a decent profit? Perhaps supplying specialised breads for people with dietary needs or tasty breads for tea shops would be an interesting proposition along with other baking products. If you have the skill for cake making you will be able to offer your services direct to the public by baking celebration cakes for weddings, birthdays and other special events. You would need either a shop front or a website to promote your business. Perhaps a small cake shop who do not sell celebration cakes would be prepared to rent you an area to show off your trade if not a website is a must. This would mean working from home to produce your cakes and you would have to have a decent sized kitchen with room for your baking equipment but at least you would not have to pay out for industrial premises. Although customers would not be able to see your cakes in front of them they would get to read about them and you could always post tasters along with a brochure to those that are interested. Another way would be to make an appointment with the customer and take along cake samples and photographs. Whatever baking service you offer you will need to market the business to attract your trade. If you want to attract the wedding trade then you would need to exhibit at some of the larger wedding exhibitions that are held throughout the country. Check with the organiser to see how many brides normally attend these events as you do not want to attend an event with a low turnout. Many wedding suppliers find that by doing several exhibitions they find enough work for the whole of the following year. Gradually word of mouth will increase your business as your skills are talked about. If you wish your bakery business to be more in the public eye why not open a tea room or cafe? It could be that you prefer to work in the kitchen producing your fantastic cakes in which case find a business partner who is more skilled in front of house work or have staff who will serve the customers. Old fashioned tea rooms are very much in demand as people want somewhere nice to eat rather than the all too often seen burger bars with their plastic seats and fast food mentality. Hi I'm a mother of four children , and I'm ready to go back to work and so i was thinking of making doughnuts at home to sell ( have made them on and off for yrs for family). Where do i start to get things going?